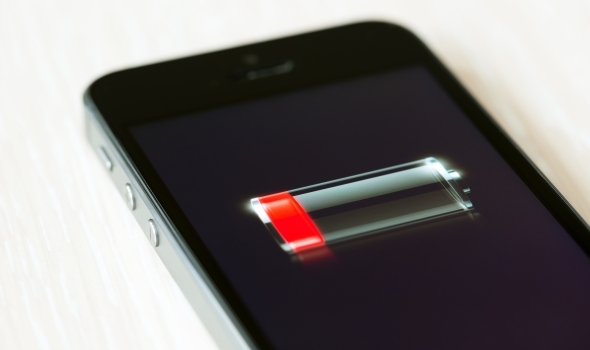 We reveal the retailers that won't charge an arm and a leg for an iPhone battery replacement. Update: for more on Apple’s £25 battery replacement and rivals for iPhone repair, read our guide on How to replace your iPhone battery. Once upon a time all mobile phones came with a removable battery. That all changed when the iPhone arrived. If your Apple-made handset doesn’t hold its charge as long as it used to, or has stopped charging all together, you’ll have to pay a specialist to replace its battery. Depending on who you spend your money with, this can be an expensive procedure. So what are your options if your iPhone’s battery needs to be replaced? Do you go to Apple or can you get a cheaper service from a high street or online provider? Here, we look at the options, prices – and the pitfalls. Apple’s Limited Warranty covers your iPhone for one year from the date of purchase/contract, which means eligible repairs won’t cost you a penny. If you’ve paid £79 AppleCare+, you’re also protected for two years. Is your iPhone not covered by a Limited Warranty or AppleCare+? You may still be able to claim a free repair or replacement under the Sale of Goods Act for up to sixyears after purchase. Contact Apple or your provider to find out. Carphone Warehouse will also handle queries, even for iPhones purchased elsewhere, and repairs are done through Apple. Take your phone and proof of purchase into any branch for a free repair or a quote. If your iPhone battery doesn’t retain its charge for long – or at all – and it’s not covered under the warranty or Sale of Goods Act, then Apple will service your iPhone for a flat £59 fee under its Battery Service scheme. The repair is guaranteed and you can easily go back to Apple if your iPhone continues to experience issues. Crucially, using Apple’s own repair programme won’t void your phone’s warranty. Something that may account for the service’s high prices compared to third party retailers. We found Apple offers the most expensive battery repair prices for four out of seven recent iPhones. The only way to wiggle out of that £59 charge is by owning a faulty iPhone 5. Last year, Apple identified some of these models as having battery life problems. If you bought an iPhone 5 between September 2012 and January 2013, then you can take it to an Apple Store for a free battery replacement (until January 2016) via Apple’s Battery Replacement Program. There are many third party websites offering iPhone repair services and prices can vary wildly. That said, FoneFunShop.co.uk is the cheapest retailer we assessed, charging just £17.99 for an iPhone 4S battery replacement. Getting the same service for a iPhone 6 or 5S can cost as much as £59.95 at FoneAngels.co.uk, so the lesson here is to shop around. If you’re set on using a third party for your iPhone battery replacement, then seek out recent customer reviews on Google Plus+ and Trust Pilot. You should also check if a (free) guarantee/warranty is offered with the repair and the terms of the service.